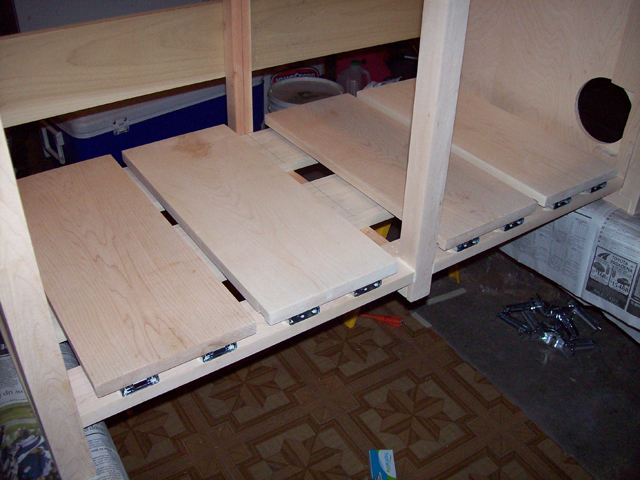 I needed a computer cabinet, and no one makes what I wanted. 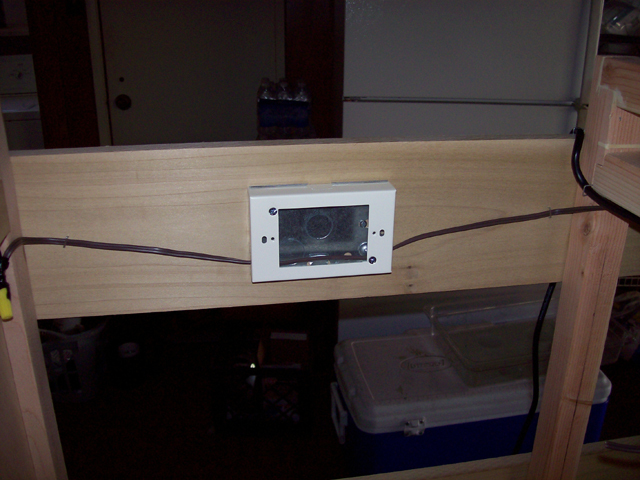 The only option was to build one myself. This page documents the phase of the project where I added the features of the cabinet to the completed body shell. Shelves for the computers and electrical systems were added. 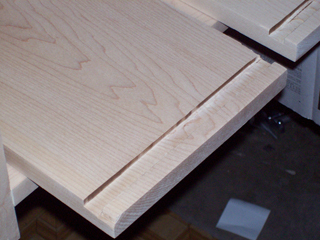 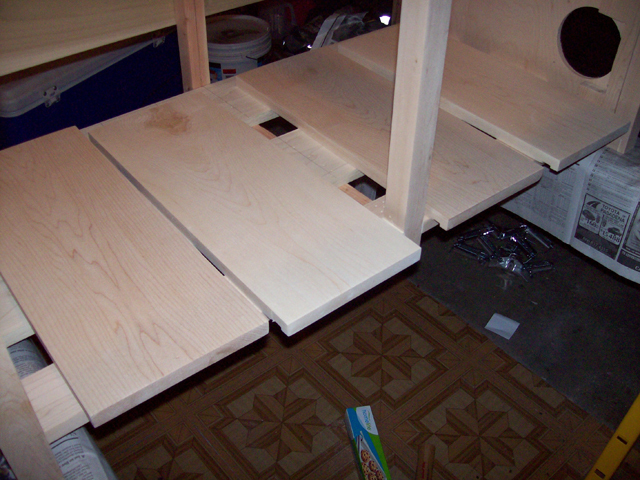 Underside view of the cut shelves and the groove to pull them out with. A close-up view of the groove on the bottom of the shelf used to pull the shelves out. 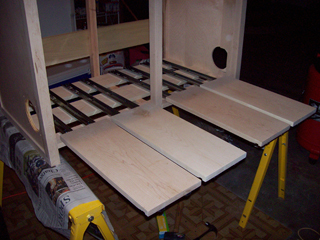 The finished shelves ready for installation. 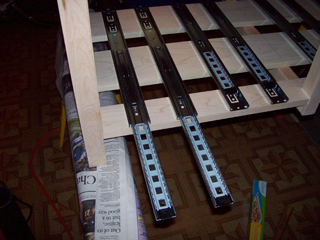 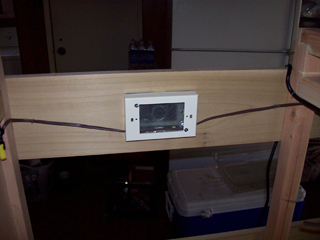 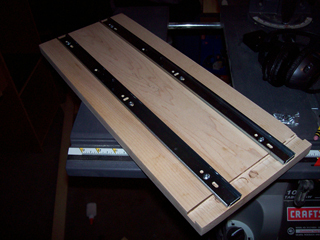 The rails for the shelves installed in the body shell. Close-up view of the rails installed in the body. The rails mounted on the bottom of the shelves, ready for installation. 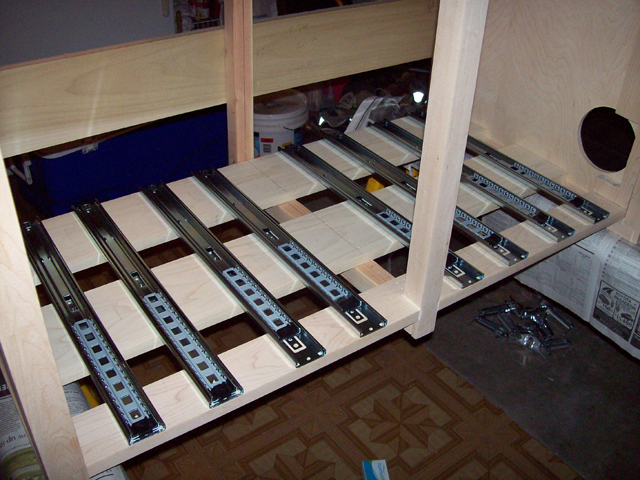 Shelves and rails installed and extended. 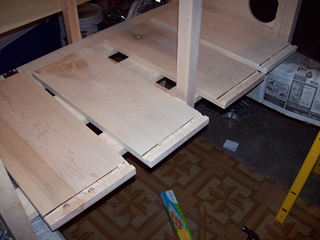 View of the shelves completely installed and in the stowed position. 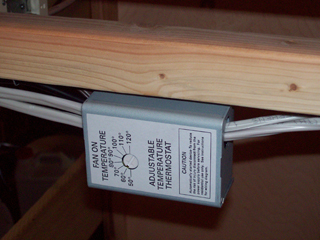 Initial installation of the fan thermostat (attic fan thermostat). 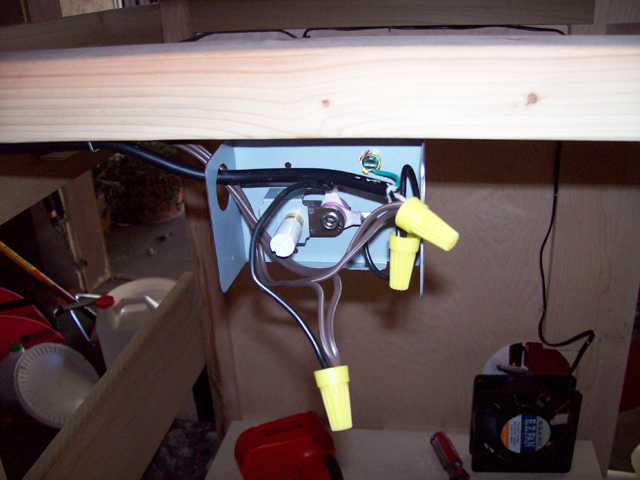 The fan wires pass through the housing where the bay power outlets will be mounted. View of the thermostat after the fan and supply wiring are connected. 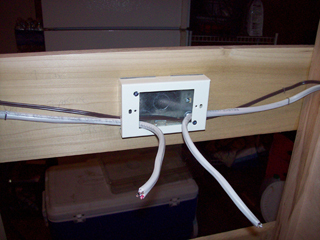 Wiring added that will run to the switch housings for each bay, powered separately. 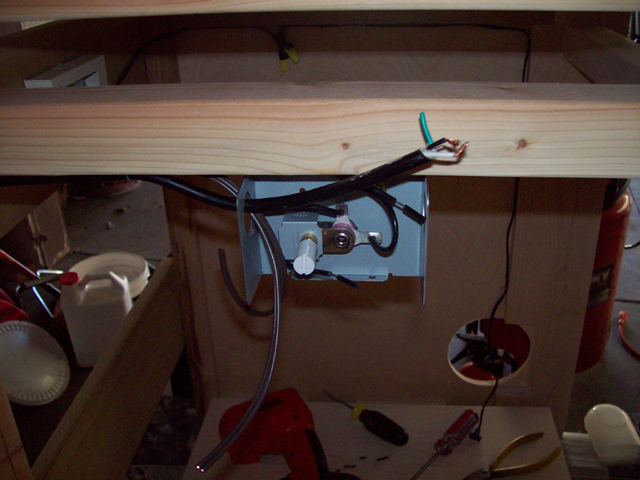 View of the thermostat after final assembly. Some switch wiring passes through.